As freelancers, one of the questions we receive often is “Do I really need a freelance website to be successful?”. The answer is YES. 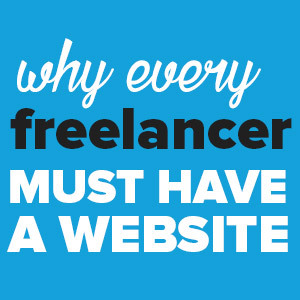 Why do we think a freelance website is crucial? It’s now necessary for the seasoned freelancer (i.e. you) to stand ahead of the pack and show the market what you have to offer. It’s time to ask yourself just how visible you are. Does your target audience know what you do? Do they know where to find you? What makes you better than the rest? There’s no better way to showcase your past work than by having a portfolio on your personal website. While opportunities to succeed online are many, how you brand yourself as a freelancer will determine how far you’ll go. Your biggest goal should be to position yourself as the go-to freelancer for high quality services. To achieve this, we believe that a freelance website is a must. 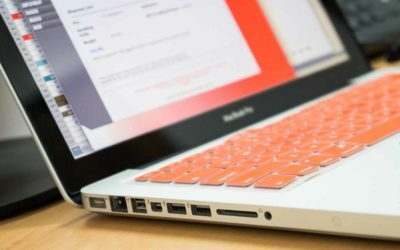 Ready to set up your freelancing website? Use our exclusive BlueHost link to get started today for as little as $2.95 a month. PLUS, you’ll get a free domain and easy-peasy 1-click WordPress installation. A website reinforces your capabilities. It shows your target market what you can do and what you’ve done already. A website is especially crucial if you’re a newbie without much to add to your portfolio. By just having a website, you give the impression that you mean business, you know what you’re doing and you’re not just a wannabe freelancer. Think about it…whenever you want a service or a product your first instinct is to search businesses with websites. The same thing happens when clients are looking to hire freelancers. They will be more interested in individuals with websites than those without. So if you want to be taken seriously you need to have a freelance website. Joshua Keen makes a good first impression with his website. A website is a great platform to uniquely establish yourself as an expert in the your area of practice. To succeed as a freelancer you have to first niche down your skills and focus on being an expert in one area. Being a jack of all trades won’t take you far. Having a website forces you to focus on one thing and build your entire web presence around it. Make sure that everything you have on your website reflects your knowledge and skills in your chosen area of expertise. Whether it’s your website’s title, your services, work samples, experience or testimonials, try and make sure they all reflect your expertise and build a brand for yourself. If you’re a graphic designer let your website reflect how good of a designer you are. In other words, let your website talk for you. Megan hill positions herself as travel & food writer. As you’ve probably noticed, online work can be tough especially at the very beginning because it depends a lot on the relationships that you build. Working online means that there’s no physical interaction and gaining trust will be tougher than working offline because your human side is not immediately recognizable. 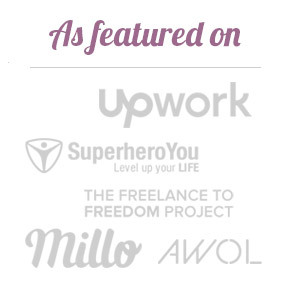 A freelance website gives clients a chance to learn a little more about who you are. When they see your profile picture they put a face to your work, for example. They see that you’re a person. By doing this you can create some initial level of trust. 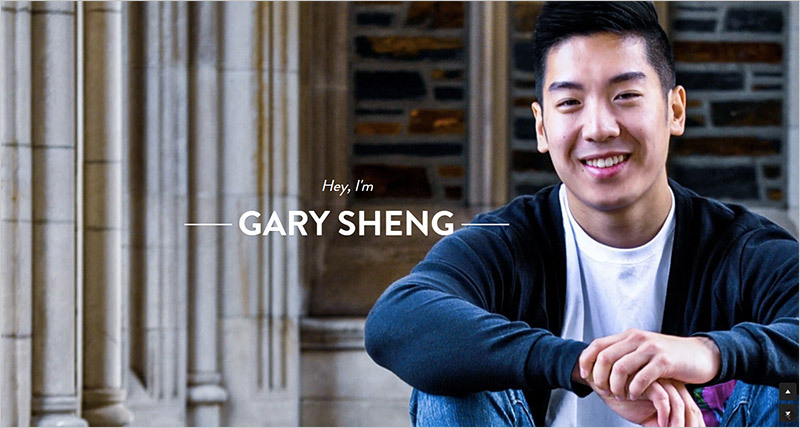 Gary creates trust by including a friendly image of himself. Also, having a website shows clients that you take yourself seriously as a business. It sounds silly but if you stop and think about it from the client’s point of view for a second, you’ll know exactly what we mean. Testimonials go a long way in growing business leads and acquiring new clients. With a website you can easily add testimonials and social proof. Have you received raving reviews on a freelancing site that you use (e.g. Upwork)? Ask the clients for permission to post those reviews on your website. Just like word of mouth, referrals and reviews are important when you’re buying online. Having someone vouch for your services will give assurance to potential clients that you’re a reliable service provider. If clients can see testimonials and references from other people, they’re going to be more inclined to hire you. Kristi Hines makes good use of testimonials. Just like testimonials, past work samples add weight to your capabilities. Clients will want to see what work you have done in the past before they choose to hire you. They will therefore, often browse a freelancer’s website to find examples of previous work to see if you’re the right fit. A website really allows you to showcase your skills and work. You can upload video, image, text and audio work samples on your personal website and show clients what you are good at. If you’re a writer you can upload articles. If you’re a designer you can create a portfolio of design projects. Are you a voice over artist? A video of yourself will help potential clients see your language skills. If you are in marketing or IT you can write a case study highlighting the success of a particular project using charts, stats and images to tell a story. Clients love seeing examples of work so paint a picture of your skills for them. Matt Hamm includes a portfolio of his work on the homepage. Competition is fierce… and there are millions of freelancers out there especially on freelancing platforms. With a website, you look more professional and people take you seriously. As the freelancing industry continues to grow, so will the number of unprofessional and unqualified freelancers who’re just looking to make a quick buck. Your continued success will therefore depend on your ability to stand out in a sea of unprofessional, fly-by-night freelancers. Think about it. If you were choosing between 2 candidates for a job. Who would you choose? Candidate B. A professional looking website, with examples of work, references from people. A freelance website will also allow you to differentiate yourself from other freelancers offering the same or similar services. A website allows you to use your creativity by having a unique website and create content in your own voice or style. This makes it easy for you to build a strong brand, one that’s going to stand out among others. Truth is, most freelancers will find this to be a lot of work and will not make the effort. But if you push yourself you can easily stand out and impress your clients by showing them that you’re a serious business. A website allows you to provide more information. There’s only so much information you can put in a pitch or tell someone over a Skype conversation. People often want more information before making a decision. A website can help paint a more comprehensive picture of your skills/ professional experience. You can give more details about your background such as education, courses taken, past job positions and accomplishments, awards and certifications, hobbies etc. Such information reminds people that you’re a real person that can be trusted and will help fill in any gaps left blank during an interview. Sean Halpin uses his website to communicate exactly what he offers. A website opens up more avenues to grow your business. 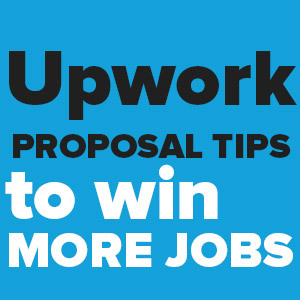 You don’t have to rely on freelancing job platforms only. You can now use advertising, promotion, social media campaigns, email marketing etc. to drive more traffic, generate leads and attract more clients. 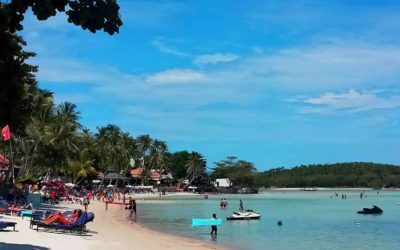 More avenues mean higher chances of getting more clients which leads to more income and therefore, a life of much deserved freedom. You might not do all of this right now when you’re starting out but as your business grows, they are definite possibilities right. 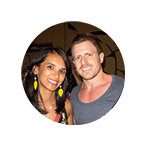 Adam Hartwig uses calls to action throughout his site to capture leads. While most clients interested in hiring freelancers will begin their search on popular freelancing platforms, a large number especially those who have worked with freelancers before will browse online to find available freelancers. Getting direct clients is great because you don’t have to compete for jobs and you can demand higher rates compared to using freelance job sites. Running a blog is a surefire way of having a continuous library of work samples. You don’t need to be a writer or a photographer to run a blog. Literary anyone can run a blog. No matter the industry you’re in, take advantage of your personal website to run an updated blog as a way to showcase your skills. Blog about a subject/topic you know about, as an extra way to share your expertise, not only with potential clients but with other people interested in your industry. You don’t have to be a Pulitzer prize winning writer but if you create a blog, it’s a good way to show potential clients what you’re capable of. Many successful freelancers get the majority of their clients come from their blogs. 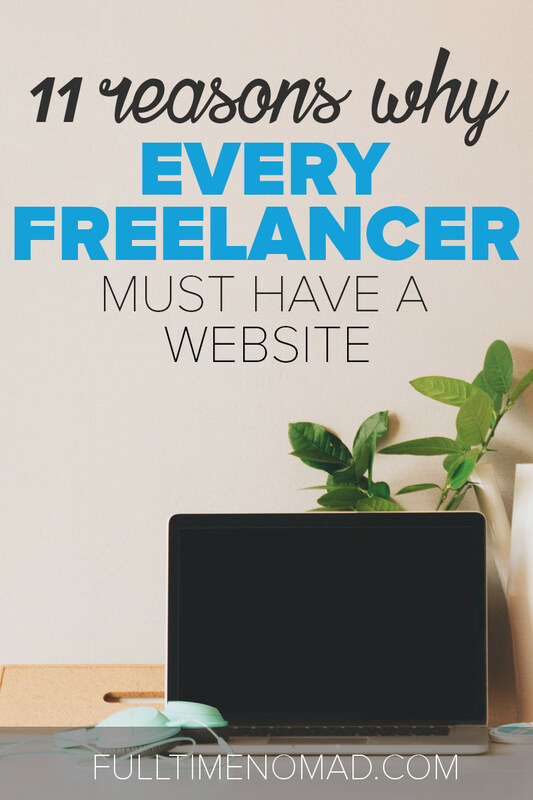 That’s simply how important your freelance website is! Devon Stank writes blog posts about his expertise to increase his credibility. Once you’ve established a good following for your blog on your freelancing website, you can now start thinking of diversifying your income and start earning from your blog. 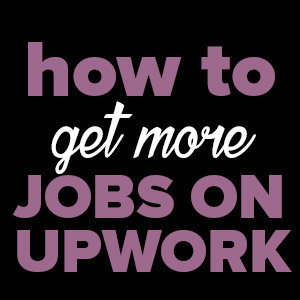 With a community that trusts your work, you can get more chances to earn more money. Think about writing paid guest posts for people within your niche or you could start building digital products such as ebooks or online courses or simply even generate an income through advertising or affiliate marketing. Blogging is a great way to establish your expertise. And if you have an audience who trusts in your expertise, then you can further diversify and generate an income from your website through other means as well…because the audience already trusts you. 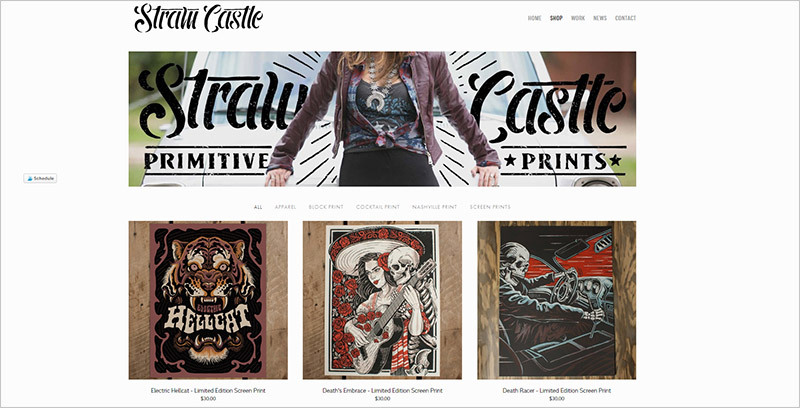 Derrick from straw castle also sells design prints on his website. 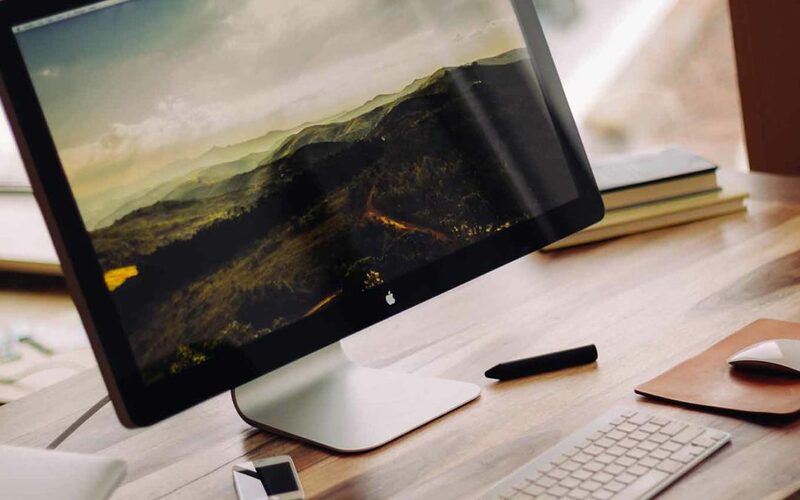 Ready to set up a website for your freelance business? Use our exclusive BlueHost link and get started for just $2.95 a month. PLUS, they will throw in a FREE domain! Ok so as you can see there are more than enough reasons as to why you need to have a website. 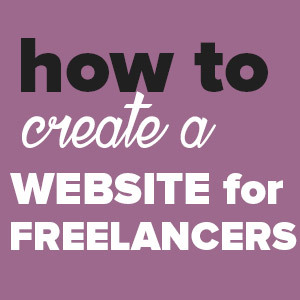 Don’t get left behind go ahead and create your freelance website now! Do you agree with us that a personal website is a must? Share your thoughts in the comments section. I’ve been a freelancer for a good few months now and I’m planning to create my own website. I’m a graphic designer by the way. My question is: should I launch a site using my own name or create a brand name? I’ve read articles online about how both avenues have pros and cons and I’m just wondering if anyone here has any good advice/personal experience on the matter. You’re right – there are pros and cons of both. When Johnny and I started, we worked individually and had our own individual websites in our names. However, we soon merged forces and felt it better to then come up with a brand name instead. One thing to think about is – who will be doing the work. If you plan to do all the work, and don’t plan to have a team, then your own name is fine but if at some point you want to expand and maybe have a team, it may be worth having a brand name instead so it gives you room to grow.